We’ve put together a list of 10 things that most sellers can do when selling a home in San Diego to help them get the most money when they sell. 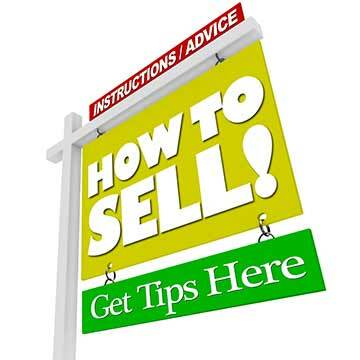 These 10 tips can bring you more money and a quicker sale. Sellers should take the time to read this if they want to walk away with the most possible amount of equity. The information below on preparing a home for sale can make the difference when trying to get more money and a quicker sale. Standing out amongst the competition when selling a home is essential in today’s real estate market. First impressions are essential in selling your San Diego home. The first thing that a potential buyer will see is your home as they pull up and get out of their car. They’ll look around the neighborhood, glancing at other homes next door and across the street, think about where the home is in proximity to shopping, restaurants, parks, freeways, work, schools and so on. But their key focus is how does this home look when they first see it? Is it pretty?, is it in good condition?, is it falling apart?, is there anything weird about it?, is there anything they love about it?, is the landscaping nice? Essentially they’re asking themselves, “Would I like to live in this home”? If the answer from the curb appeal question is yes, then the buyer goes into the house feeling good and positive about it. This is much better than if a buyer isn’t happy with the curb appeal. Strike 1 before a buyer even gets inside the house usually doesn’t work out in the sellers favor. It’s hard for potential buyers to get a good look at your home if it’s cluttered. What I mean by cluttered is too much furniture, knick-knacks, kids toys, dog toys, dog beds, kitchen counter items, art, workout equipment and so on. A home is lived in. It’s not a model home at a new home community, it’s going to look lived in because people live in it. A potential buyer will try and picture themselves living in your home and placing their furniture in it. When it’s cluttered it’s hard for buyers to get a real idea of the size of the rooms and placing their furniture can be very hard if the rooms are packed with stuff. If you have large rooms and they don’t feel cluttered then you’re probably OK.
A lot of times rooms are not big enough for all of the furniture and other items that are in it and since you can’t make the room larger you need to minimize your stuff. Keep the basics, if it’s a living room you need a couch and a chair and maybe a coffee table. Less is better. By removing extra items the rooms feel bigger and a buyer can move around freely without feeling confined. You love your stuff but keep in mind a buyer may not. Pick up pet beds, pet toys, kids toys, remove knick-knacks and minimize what you have on shelves and kitchen counters. The more plain vanilla your home looks the better chance you’ll have of a buyer writing an offer on it. Storing extra items in boxes and extra furniture in the garage is a good idea if you have the room. That way the clutter is organized in the garage which from a buyer’s perspective is OK. If your home is vacant then staging can be a good option to showcase your home for buyers. We can also help with staging advice and recommendations. There are so many times I will show homes to buyers and they will not even consider buying the home because they hate the paint or the home hasn’t been painted in so long the walls are dirty. 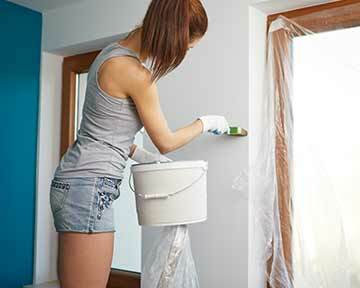 Many times a buyer cannot see around ugly paint or dirty walls that need paint. Now if you like pink walls or orange walls than I don’t mean to offend you. There’s nothing wrong with colors of all types in your home. But when you go to sell it you want your home to be painted a color that the vast majority of home buyers are ok with. Neutral colors are the best. Colors like different shades of gray, light browns, shades of white and so on. These are neutral colors that most buyers consider OK. A little paint goes a long way. If you just paint the rooms that really need it or paint the rooms with a non-neutral color a neutral color this helps. An experienced real estate agent can help you determine what the home buyers in your area consider acceptable. Once they buy your home they can paint it any color they want. As a seller you want the most amount of money for the sale of your home and fresh neutral paint is a good bang for the buck. Most homeowners know what’s broken in their homes. You might have a leaky faucet, broken window, damaged wood flooring, ripped carpet, broken stove and so on. Fix all of these items or have them fixed before the home goes on the market. Better yet fix them before your agent takes professional photographs of the house. A buyer is going to be looking at the condition of your home and making judgements on whether they think you have properly taken care of the home or not. They don’t want to buy a home with lots of deferred maintenance. They may also conclude that there may be other items that they can’t see that may also be broken or not maintained properly. Spend the money “if you can” to get your home in good shape before any buyers come in to see it. Remember their comparing your home to all the other homes on the market. Make yours be the one that they want to purchase. A buyer is going to assess your yard to see how they would use it if they were to purchase your home. They’ll look at things like; how much grass there is, what types of plants you have, if there is irrigation on a timer, if there is proper drainage to keep water away from the house and so on. They will also look at your hardscape, things like; patios, patio covers, decks, fire pits, BBQ’s, pools, spas, storage sheds, play structures and so on. 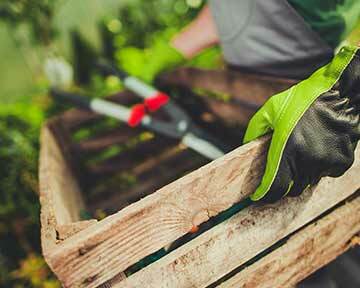 You should take the time to cut back shrubs and trees for a good clean appearance. Make sure that the grass is in good shape, no brown spots, green, cut and boarders trimmed. Make sure your patios and decks are in good condition and power-wash as needed. Think about what you would think about your yard if you weren’t the owner and instead you were a buyer. What would you, in the shoes of a buyer, like or dislike about your yard. Make sure your yard sparkles. Many potential home buyers have the yard at the top of the list so make sure it’s in order. Buy some fresh perennials that are flowering and plant them around the yard to make it pop. A little investment at the Home Depot Nursery can go a long way. home. Pet owners, which most of us are, sometimes are not aware of the odors in their own home because they get used to them. Have your agent give you a frank and honest assessment of your home’s odors and make sure that no homebuyer ever smells them. 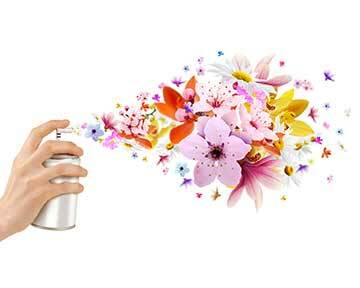 Air fresheners that don’t have an overpowering smell but more of a nice light and breezy smell are good choices to place throughout the home. Give your house a really good cleaning or hire someone who will. A clean home is a desirable home. Potential buyers like clean homes. They can overlook other things as long as the home is clean from top to bottom. Clean the floors, walls, windows, curtains, windows coverings, kitchen, kitchen appliances, light fixtures, bathrooms and everything else. Make your home stands out as a clean, beautiful and well maintained home. Buyers will appreciate a clean home and will be more likely to picture themselves in it and write an offer on it. This is key. An experienced agent will take the time to put together a professional Comparative Market Analysis “CMA” comparing your home to homes in your neighborhood similar to yours. Homes in the CMA will include active homes for sale, homes in escrow and sold homes. Sold homes being the most accurate data to come up with the value of your home. A good experienced agent will give you good factual comparable properties and will not say they can get your more money than it’s really worth just to get you to list with them. These are dishonest agents and you need to be wary of any agents doing this. Recently San Diego has had the honor of being the most reduced priced market in the country, due to agents overpricing homes just to get the listing. The honest agent won’t do this. Another trendy way agents sell homes is to underprice your home by hundreds of thousands of dollars. We’ve seen some agents price homes for $1 that have a value of well over $600,000 to get excitement around the property and get lots of offers on it … mostly low ball offers. In many cases the buyer cancels shortly after being accepted. The buyers feel a game has been played on them and they get very sketchy and back out of the deal leaving the homeowner to put their home back up for sale. You shouldn’t try and play games to get your home sold. Pricing your home at market value, preferable in a range to attract more buyers into see it is usually the best option. For instance if the value of the home is $750,000 a good range would be “entertaining offers between $725,000 to $775,000”. From our over 50 years combined experience this is the best way to price a home to get top dollar and a solid buyer that has an excellent chance of staying escrow. It’s our job to let as many prospective buyers know that your home is for sale. We use traditional forms of marketing as well as web and social media marketing to spread the word about your home being on the market for sale. Selling over 2,000 homes and having well over 50 years combined experience gives us a huge advantage over the competition. We will sit down with you and go over our proprietary real estate marketing plan and show you why so many sellers choose us for a top dollar sales price. Always have your home show ready. Buyers will sometimes want to see your home with a short notice. It may be inconvenient but making your home available and making sure that it’s in perfect order can get you the price you want. Sometimes buyers have a limited amount of time to look at property. You, as a seller, may only have one chance to make sure that your home fits into their schedule. Don’t miss out on the opportunity. You never know where that offer will come from and which buyer will be writing it. If you’re interested in having your home evaluated by the San Diego Real Estate Experts at The Lewis Team then please contact us. We would love to setup a confidential meeting to discuss the possibilities.